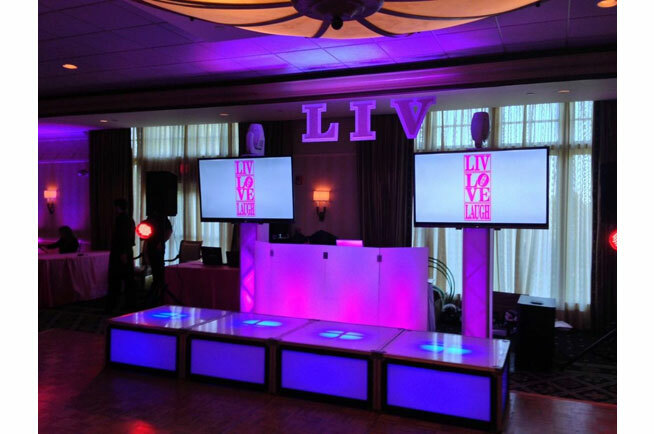 It's a great add on to liven up your event and add some color to any ballroom. 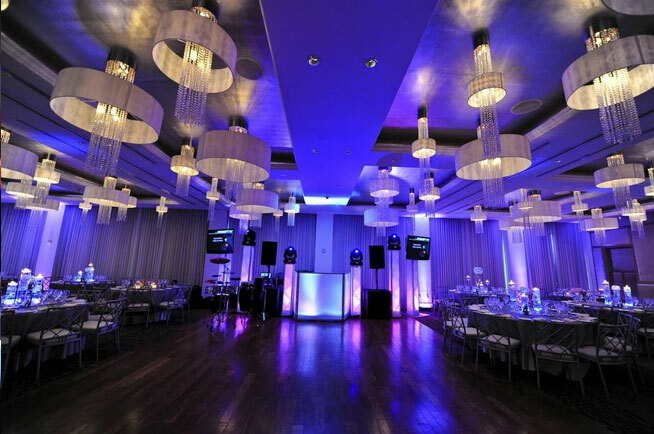 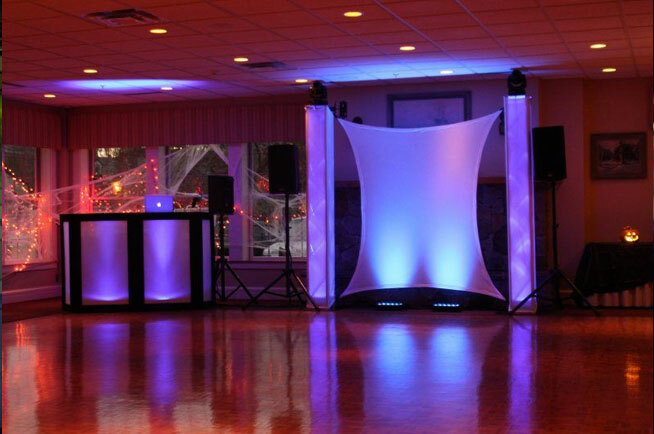 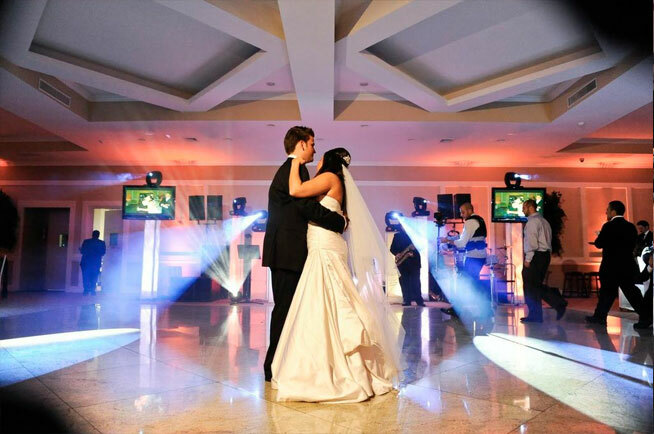 We will match the color scheme of your event using LED lights to light up the entire area around the DJ. 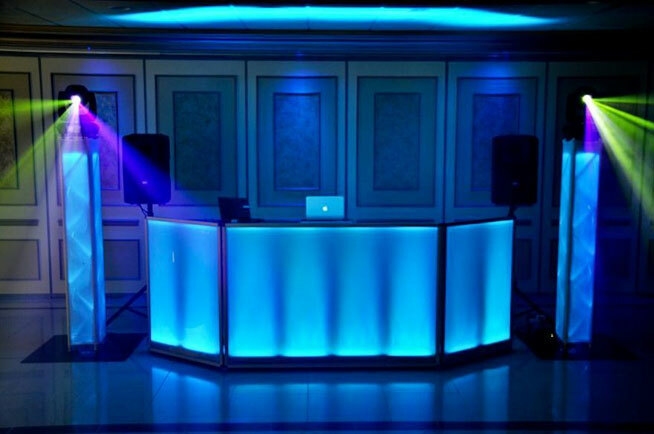 Music is the centerpiece of almost every party. 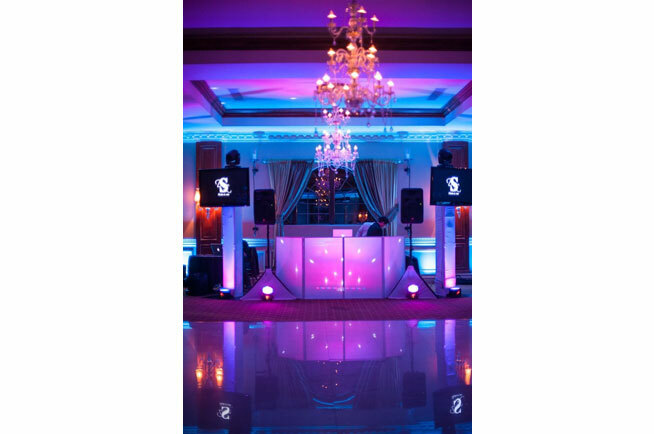 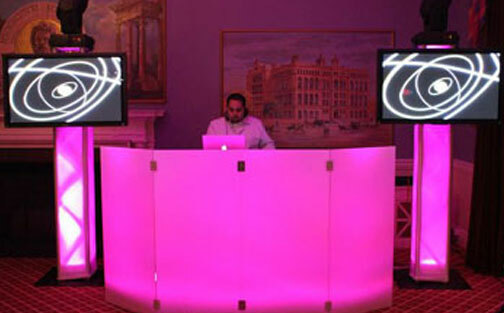 Our captivating LED DJ Booth will give the DJ location an elegant and appealing look and feel. 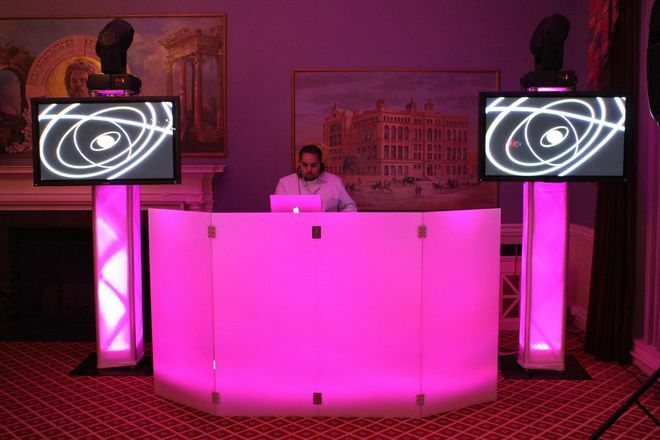 We also offer several other DJ booth enhancements such as trussing, intelligent lighting, stunning HD Video on elevated LCD screens and more.